There is nothing that I have struggled the most when it comes to makeup than brushed. 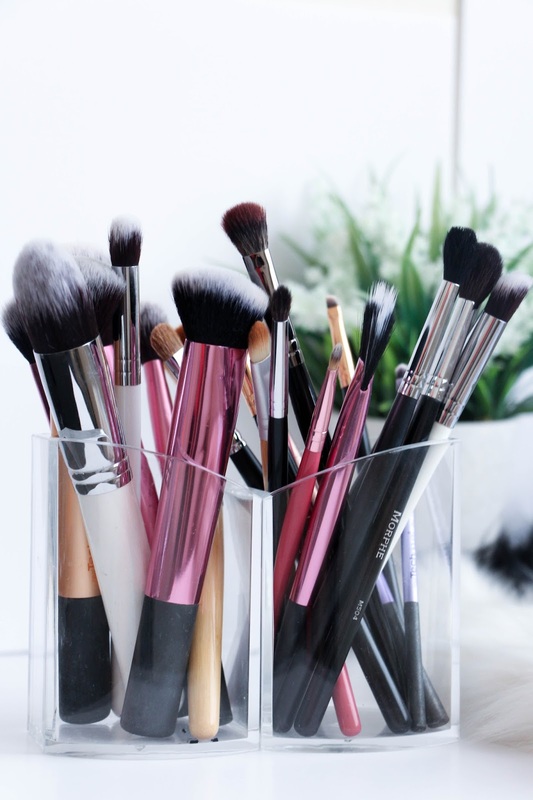 There are so many of them for so many different things but the truth is that on a day-to-day basis you don’t need that massive collection that all the make-up gurus might have. 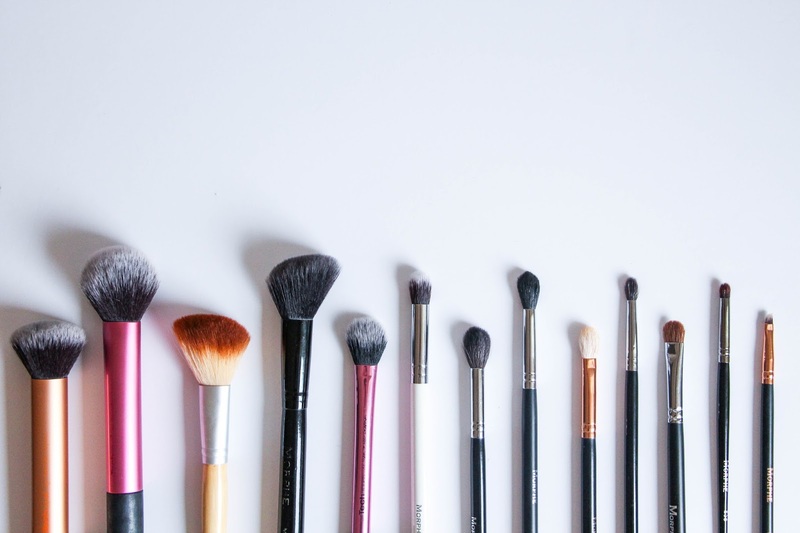 For us that have a passion for make-up but don’t do it for a living, I have done a little list of the ultimate brushes you need in your collection to achieve a perfect, flawless base and eye look. Although my collection is far from what I would like to be, I know that I have more than enough and that there is no need to add any others but brushes have become one addiction of mine and I am OK with that. For whoever wants to dig into the endless world of makeup, I have come up with 13 affordable brushes that I think you must have. So let’s start this. THE FOUNDATION BRUSH. This is the basic of the basics. Some people love to apply foundations with their hands but I am not a fan. You go ahead if you’d like but I am a brush lover. The Foundation Brush by Real Techniques is a very good choice. Smooth and blends everything perfectly. Great for beginners. I still use brushes to apply my foundation but I can never keep aside my Real Techniques Complexion Sponge. This will prevent you from having a base were brush strokes are predominant. The sponge helps blend everything in and absorbs any excess product. I normally blend my concealer with the sponge but if I have already done my eye makeup and want to make sure the inner corner is concealed to perfection, I use a small concealer brush. The one I use is from the Morphe 690 Deluxe Contour Brush Set. THE POWDER BRUSH. A big, fluffy, soft brush is what you are looking for. I own the Real Techniques Multitask Brush and I find that it does a perfect job setting everything in place. One that I also have my eyes on and will definitely add to my collection is the Morphe M523 Tapered Powder Brush. I’ve heard great things about it and so I would absolutely love to try it. Whilst I don’t own that one, I’ve been using the Real Techniques Multitask Brush. If you want to go a bit extra, adding a smaller powder brush can be a good idea. This will be ideal to set your under eyes. I normally go for the Real Techniques Setting Brush. THE BLUSH BRUSH. Her is were I tell you that I would love to replace this brush that you see above for one completely different. Although this one does a brilliant job, I feel like it’s shape isn’t great for my face and so I am currently looking for the perfect one. If you like angled blush brushes, then there are for you. For me, I would prefer a round shaped one like the Morphe E34 Elite II Tapered Blush Brush. THE CONTOUR BRUSH. I am definitely a contour kind of girl. It is a step that I never skip. Contouring completely transforms your face and powder is my go-to. For that I use the Morphe MB4 Angled Contour Brush (one that can be also used for blush if you prefer). The angled shape of this brush helps you define your cheeks so easily you don’t even have to think about it. For cream products, I normally go for the Real Techniques Sculpting Brush. I normally don’t bronze too much so if I do, I use the same brush as I have contoured with (not ideally but who cares?). But if I was to pick one, I would go for the Morphe E59 Elite II Tapered Bronzing Brush. I will definitely come back to this post to create a makeup brushes wishlist and hope that someone is generous to me this Christmas haha. THE LARGE BLENDING BRUSH. Moving on to the eye makeup, you definitely need a large blending brush. Something you can apply your transition shadow. For that I use the Morphe M504 Large Blender Brush. THE BLENDING CREASE BRUSH. This is very similar to the previous one but it is slightly more pointy. Easier to focus a bit more on the crease whilst still blending everything very well. My new favourite is the Morphe M330 Blending Crease Brush. THE TAPERED BLENDING BRUSH. For more precision with your eyeshadows, this one is a must have. I use it to blend the shadows on the outer corner of my eye and it makes the job so much easier! And the rose gold detail is beautiful! I use the Morphe R39 Tappered Blending Brush. THE POINTED MINI BLENDER BRUSH. This is an optional one but I honestly thing it is worth having. It is good for little details like highlighting the inner corner or the brow bone. It is also great to deepen the crease and add more definition. I also use it to blend eyeshadows in my lower lash line. My favourite for this is the Morphe E507 Pointed Mini Blender Brush. THE EYESHADOW BRUSH. Well this another basic one – everyone needs an eyeshadow brush. The Morphe M167 Oval Eyeshadow Brush is ideal for the job. It’s oval shape makes it really easy to follow the natural shape of the eye and it is also perfect if you want to do a cut crease. This brush works really well with shimmer and matte eyeshadows. THE PENCIL BRUSH. I spend months without a brush like this one and I did manage. But every makeup look looks even better with the right brushes so I bought it. This is ideal to apply shadows to your lower lash line. I tend to use this one first to place the shadow and then I grab the mini blender brush to blend it all seamlessly. I have the Morphe E36 Detail Crease Brush. THE ANGLED BRUSH. Perfect for many things as: do a wing with gel liner or use to draw your brows with some brow pomade – you pick! If you need it for both, grab two of them. I personally use it to do liner with eyeshadow as I prefer liquid to gel liner. I have the Morphe R45 Angled Liner Brush and I am adore it. And there you go. A full on, very extensive brush guide to help you start your makeup journey. But the true lesson is: it doesn’t matter what the brush is meant to be used for – you use it for whatever you want and make sure you have fun! Makeup is just makeup and you can take if off whenever you want!